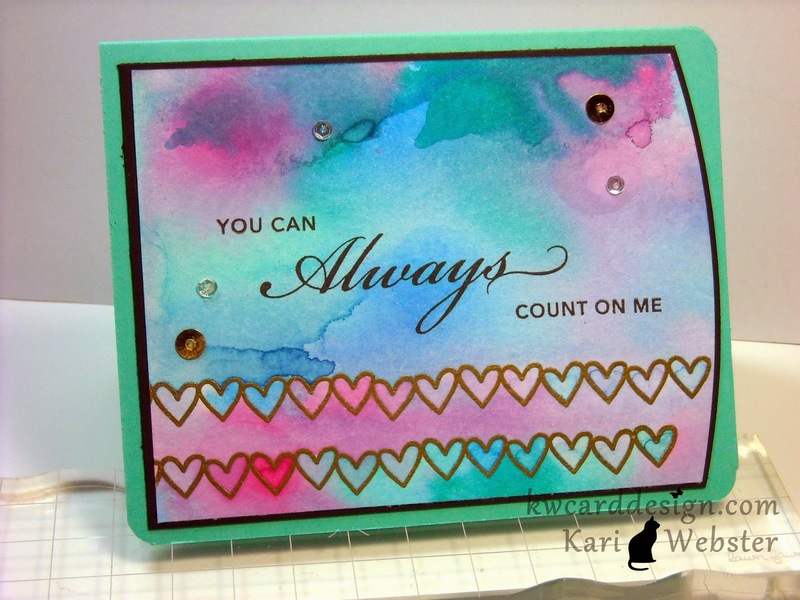 KWCardDesign : You can ALWAYS count on me! Happy Wednesday everyone, or what's left of it :) Today, I just wanted to share with you a card I made over the weekend. 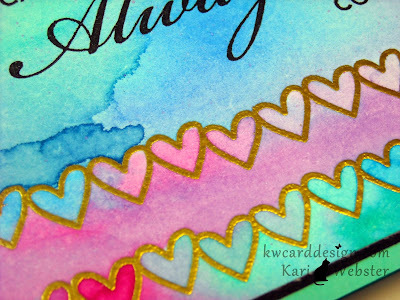 I have been playing with my Distress Inks a lot lately for the watercolor look...it is so much fun, and you will never have the same look twice!! Hope I have inspired you to get your Distress Inks out and play, play, play! See you soon! Happy Birthday to YOU card + video!